Best in Class is an Edinburgh Fringe show promoting the rich talent of working class comedians. Best in Class had a successful first year at the Edinburgh Fringe in 2018. The comedians received several four star reviews and excelled in front of receptive audiences from a mixture of social backgrounds. This success has shown the industry that there is a need for a show like Best in Class. 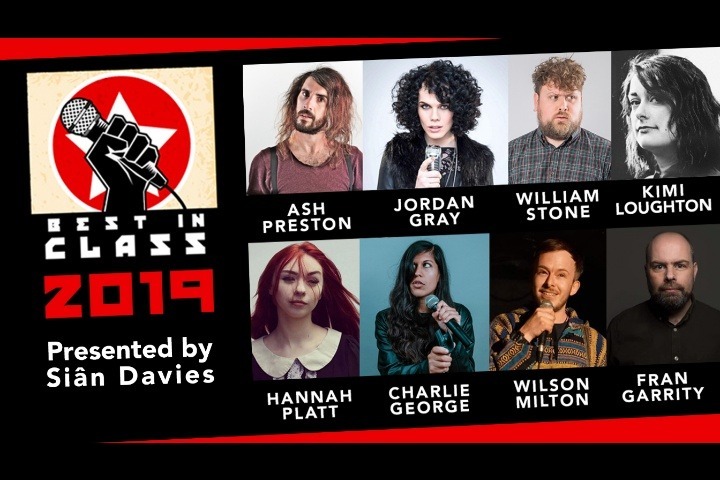 In 2019 Best in Class will return to Edinburgh with a new intake of working class comedians. Putting on a show at Edinburgh Fringe is a costly experience. Costs include £100 to secure a venue at the Fringe, £300 to register the show in the Fringe programme, £100 for poster/flyer art work , £100 for poster and flyer printing. Plus the cost of marketing, advertising and promoting the show. Not to mention the exorbitant accommodation costs that the comedians will pay to perform at the fringe. This fundraiser has been created to minimise any out of pocket expenses in giving talented working class artists a much needed voice at the fringe. Become a part of something, join the collective, contribute to getting the best working class comedy talent to the Edinburgh Fringe. If you can't donate, please share this page with your contacts and talk to them about Best in Class. Remember, any profit that is made from the show, after costs are deducted, will be split proportionately between the acts. Stuck somewhere between reality and dreams, offering glimpses into his world through whimsical one-liners and oblique observations. BBC New Comedy Award Finalist 2018. Leicester Square Theatre new act of the year finalist 2018. "excellent writer of quirky one-liners" Steve Bennett, Chortle. Jordan wrote and co-starred in the award-winning Tall Dark Friend webcom and her 2018 show “People Change” was met with critical acclaim. She hosts a weekly radio show on Phoenix 98FM and writes a monthly column for Diva Magazine. Fran has been making waves on the comedy circuit for some time now. As well as headlining a showcase for BBC Radio comedy series 'It's Grin up North' he also has writing credits on the show. His tour shows ‘Secret Agent Fran’ and ‘Faith, Hope and Garrity’ both enjoyed sell out runs. Fran has also provided tour support for Jason Manford. Hannah Platt has a frank, acerbic and brutally honest approach to stand up, never shying away from sensitive topics. Wilson is the cheeky chappie from a council estate in south london. with sharp observations, curveball one liners and pin point accents, he is sure to please any audience. Dirty stories delivered with a uniquely infectious energy, Kimi is one of the fastest rising stars in Scottish comedy. Bold brash, brave and busy, Kimi brings plenty of laughs while leaving you pondering about your own views. "Charlie George has an elegantly calm and collected demeanour, wry observations and her situation and background are interesting." - Steve Bennett, Chortle. You can be one of the first to see the 2019 comedians as they launch their journey to the fringe at Hot Water Comedy Club, Liverpool at 7pm on Sunday 26th May. The also have a huge benefit party planned at 2Northdown, Kings Cross on Saturday 22nd June and a show at the Greater Manchester Fringe on Sunday 14th July.